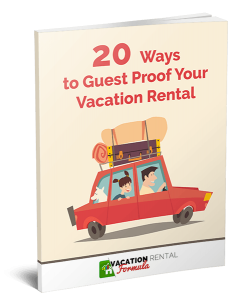 It’s easy to get overwhelmed by the sheer number of resources available to help you manage your vacation rental business. It seems every day something new is launched, and each with the promise of saving you time and stress. So much new tech can have the opposite effect, if you jump onto every new bright and shiny resource without really understanding what it does and if it might, or might not, be compatible with what you already have in place. The same goes for educational resources. Learning how to manage a short-term rental has always been a little hit-and-miss. Nothing is guaranteed when you rely on those with varying degrees of experience and length of time in the business to dispense knowledge and training that can have a significant impact on your bottom line. So how do you know the people claiming to increase your income dramatically (if you’ll just buy their book or join their membership site) really know what they’re talking about? How long have they been involved with vacation rentals? The vacation rental industry is constantly evolving, and those who’ve been in it for 10 years or more have significant experience in negotiating the best ways to market, operate, and strategically manage a business. On the other hand, someone who’s invested in a master lease or two and has dabbled in rental arbitrage may be able to talk about Airbnb in a relatively knowledgeable way, but is unlikely to offer much in the way of understanding other platforms or the foundations underpinning the industry as a whole. How many properties have they owned and/or managed? 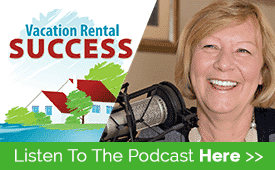 While it takes many years of experience to talk with authority on topics relating to short-term rentals, the learning gained from owning and managing multiple properties is what gives some educators the edge over those with a single unit. Have they presented at industry events? This business is still young enough to have a well-respected group of experts that regularly speak at conferences and industry events. Whether it’s a VRMA, VRM Intel, Vacation Rental Success Summit, or a supplier conference, the person you’re choosing to spend your money with should be able to demonstrate that they have shared their expertise in more places than a Facebook group. After all, the skill required to set up a group is almost zero. It really depends on what you need to know. If you’re new to the business, a five-day intensive course might be the perfect solution to providing the tools to get you started off on the right foot. For those who’ve been renting for a while and need some guidance on increasing occupancy or improving marketing strategies, there are forums and live events for networking and learning. A range of courses are available on topics to hone skills in specific areas. And, some very active Facebook groups are useful for getting answers to questions and hearing what other owners experience. In short, there’s something for everyone’s needs if you know where to look. Here are our favorites — the ones we thoroughly endorse and either use ourselves or know and highly respect the people who operate and manage the platforms, communities, and networks. That’s us! We don’t often blow our own trumpets, but since we’re building our library of training materials on every aspect of the vacation rental business, we couldn’t leave it out. We’re veterans of this industry. I (Heather) have owned six vacation homes and am CEO of a rental management company; Mike has owned his own rental cottage and founded a company offering maintenance services to owners and managers, giving us 35 collective years in the short-term rental business. Jason is a seasoned digital marketing and WordPress expert and consults with property management companies and independent owners on marketing strategies. We believe that makes us more qualified than most to offer operational, marketing, and strategic training. Tyann and Alanna have been running these boot camps for the past couple of years and have successfully completed events in Mexico and Nashville as well as a couple of shorter one-day sessions. The highly practical training covers every aspect of vacation rental operations from creating newsletters and automating email campaigns, to bed-making, staging, and photography. Both Tyann and Alanna are owners of amazingly successful vacation rental homes and definitely walk the talk. In my opinion, this is the best Facebook group bringing together Airbnb home sharers with whole-home hosts and owners. Although primarily focused on the Airbnb model, Evelyn’s community members come from every background and bring massive experience in their contributions to the group. Evelyn also has a podcast and training material for Airbnb hosts. There are a lot of people out there purporting to be Airbnb “experts” — Evelyn is the real deal. You won’t be long in the vacation rental world before coming across Matt Landau and his Vacation Rental Marketing Blog. Matt has built a community of knowledgeable and passionate homeowners and managers who contribute extensively to the Inner Circle forum. The VRMB blog is a great resource as Matt invites members from his group to create guest posts, most of which are a best in class in industry operations. Most providers in the industry have created interesting and topical content and post regularly to their blogs. Lodgify builds websites, offers channel management, and reservation systems, but their blog touches on every single aspect of the business. Their posts are comprehensive and highly educational. Another must-read blog, Avalara MyLodgeTax offers important information to help navigate the world of lodging taxes. Covering the myths, mistakes, and facts about the myriad taxes owners have to collect and pay to different authorities, it’s worthwhile to stay up to date on all this important information. These resources only scratch the surface of what’s available today in support of our business, and over the course of the next few years, there will undoubtedly be many more joining them.